These words are taken directly from the mouth of Cersei Lannister, days before the person she said it to, Ned Stark, lost his head. And with that quote in mind, it’s become painfully obvious that the fantasy series has come full circle. The first-born child to Tywin and Joanna Lannister, minutes before her twin Jaime, Cersei Lannister has taken her head role in the family quite literally. Throughout the seven series, we've seen the character always remain - or at least appear to be - the most powerful Lannister in all the land. That's not to say that her journey has been smooth, as Queen Cersei has had one of the most memorable of all of the final characters vying for a place on the Iron Throne. She’s concocted wildfire; brought the Mountain back from the dead; been forced to walk naked through the streets of King' s Landing to a chorus of “shame” for all to hear; and managed to kill half of her enemies in the explosion to end all explosions by blowing up the Great Sept. However, it hasn’t always been plain sailing. Due to her need to always be in control, to always strive for what’s best for her, all three of her children have died at her hand. A bold statement to make, but it’s true. Joffrey, the most egotistical of all of the Lannisters, was a force that needed to be eradicated because of the way he was raised. Myrcella, the one who showed signs of actually being a decent person, was exiled to Dorne by Tyrion because of her mother’s actions. Hell, do you really need a reason as to why Cersei caused Tommen’s death? She has lost all of her children, the only people she truly cared about in all of Westeros. A human vessel that once had a heart now seems as cold and devoid of emotion as the Night King. She has nothing left to live for. Also, her black clothing in the most recent episodes suggest she is in mourning for her losses, as a constant reminder to herself as to why she is now sitting on the Iron Throne. And yet, this is her biggest strength. Unfortunately for Cersei, she’s always been branded as one of the villains of the series. In fact, if you remove the White Walkers, she’s been the only one that has always been powerful enough to fear. She has remained a source of conflict throughout the whole series and survived most of her naysayers. When you think about it, is she any worse than Daenerys Targaryen, who has slain all that have vexed her and been branded a hero? Quite plausibly, Cersei might even have killed less than the Mother of Dragons. 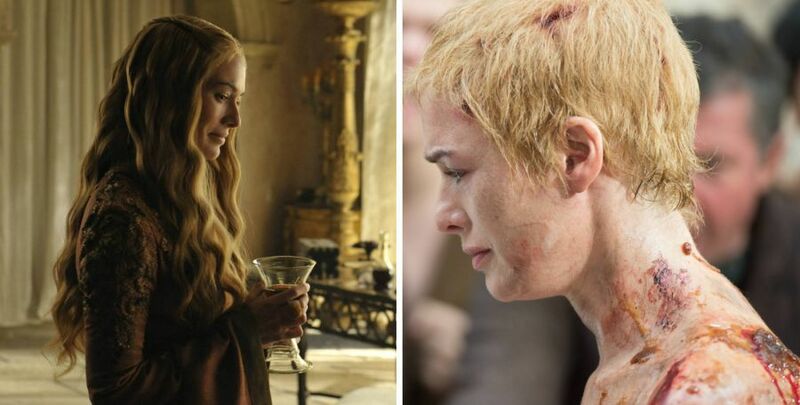 Similar to the Breaker of Chains, Cersei Lannister holds a grudge and there’s no denying it. A grudge against her twin brother, Jaime, for failing to rescue her in her most desperate time of need; against her younger brother, Tyrion, for killing her mother on arrival into the world and for gifting her ill-fated daughter, Myrcella, to Dorne. Of course, she got her back on the Dornish Sand Snakes in the end, while Tyrion and Jaime still roam free. Has she some unfinished business to take care of or will she put her grudges aside in order to save the realm from the dreaded Night King? Although Cersei Lannister is a powerful woman, there is no doubt, she has managed to outwit her opponents with her mind, and her tongue. Deceit, lying, manipulation and cunning are all second-nature to the lionness. Sure, everyone that wants to have a pop at the throne has at least one dragon (and the ability to remain faceless). But do they possess as much rage, hatred, and broken-heartedness as this woman? Not a chance. Queen Cersei is prepared to die for the throne - how many of her opponents can say the same?